Important fact: Being a non-profit organization does not automatically make you exempt from taxes. Another important fact: Receiving exemption from federal income taxes can be a long and arduous process. 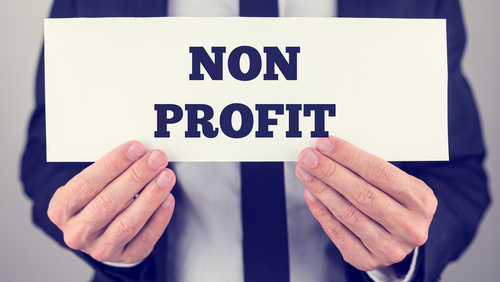 Most non-profits will want to undertake the process anyway, because without that coveted tax-exempt status, donations aren’t tax-deductible and, let’s be honest, the whole point of being a non-profit is kind of defeated. It’s advisable for a new non-profit to submit its application for exemption within the first two years of its existence. In fact, if it submits the application more than 27 months after it was organized, it will have some explaining to do (literally – there’s a special form for it). However, putting the application together in a non-profit’s early days can be challenging. The infamous Form 1023, the IRS’s application for recognition of federal tax-exemption, is a bear of a form. The IRS wants to know everything about the organization, and in great detail. The final application package can easily be an inch thick. Who and How: To avoid potential conflicts of interest and inappropriate “private benefit,” the IRS wants to know all about the people who will be involved with your organization, and how they’re related to each other, and who else they work for, and whether you’re going to pay them salaries. (If this sounds nosy, remember that non-profit organizations are accountable only to the public and much of this information will be available to the public as well. It’s part of the bargain you strike in return for those excellent tax benefits.) The IRS also wants to know about your internal procedures, so you’ll need to have a lot of your “process” ducks in a row. For example, if you’re going to award scholarships or grants, you’ll need to describe your application process, how you select recipients, how you administer the funds, and so on. Finances: This is often the hardest part. The IRS wants at least three years of projected financial information for your organization, broken down into different categories of revenue and expenses. If you haven’t started operating yet, the numbers only have to be reasonable projections. You’ll have to do some legwork to figure out how much your expenses are going to be and how much money you can expect to bring in from donations and services. As difficult as this might be, thinking about the future source of your income is an important exercise at this stage. Generally, to be a public charity, you need to have a broad base of public support. If all your money is going to come from one donor, you’ll end up classified as a private foundation, which you really don’t want to be. Identifying the sources of your financial support and starting to plan for alternative sources, if necessary, will help your organization in the long run. If all of this sounds overwhelming and perhaps even a bit ridiculous for your small non-profit, you’re in luck. The IRS is now offering a shorter application form for certain organizations. In our next post, we’ll talk about the “EZ” route to tax-exemption.